You might remember that I have mentioned my grandmother in some previous posts (like the time she gave me her old recipe cards, or my love of her simple shortbread cookies). Nanny McNulty ('Nanny Mamulty' as my toddlers call her) passed away on Sunday night. As my sister posted on Facebook: "After 20 years apart, I wonder what Nanny and Grampy had for supper together last night?" It felt right to bake something of hers yesterday. 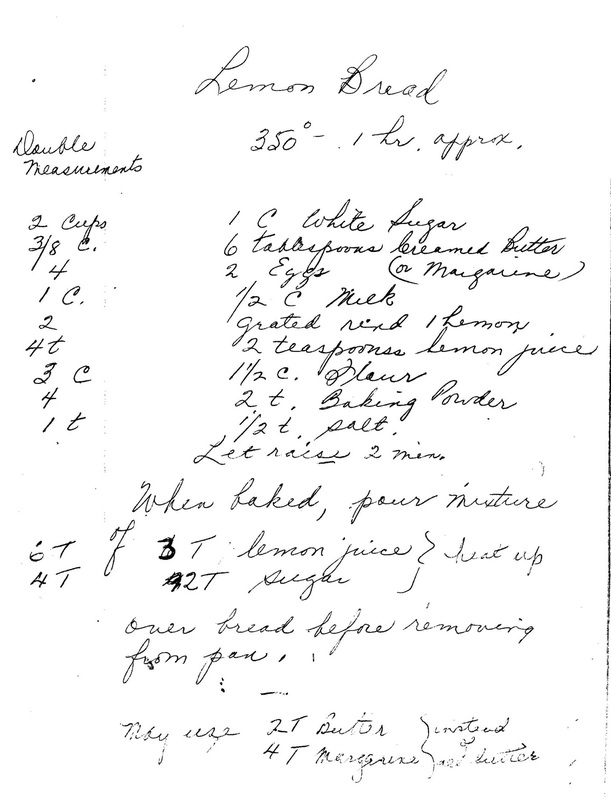 This is my Nan's lemon bread recipe (except I didn't have a lemon yesterday, so it became orange bread). 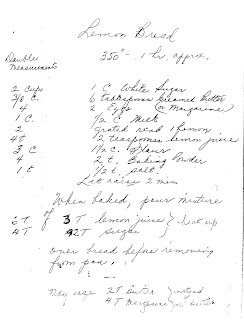 Baking from her handwriting (and guessing the amounts, temperatures, times when they aren't listed) feels like such gift. Cream butter and sugar. Beat in eggs and milk. Add citrus juice and zest and beat well. Combine dry ingredients and mix to combine with wet mixture.